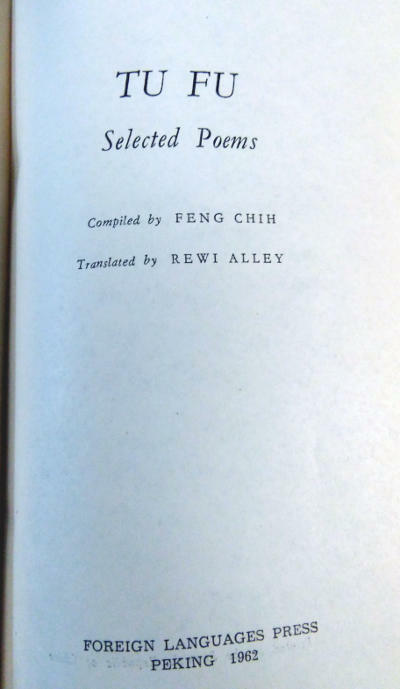 Publisher: Foreign Languages Press, Peking, 1962. First edition. Condition: Hardcover, with price-clipped dust jacket. Very good, with small closed tears to dust jacket. App. 7″ by 4.5″, 177pp. 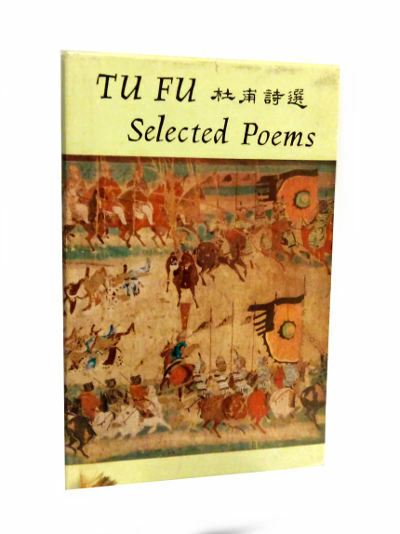 Containing 140 poems and 9 black-and-white facsimile plates of Chinese paintings. Du Fu (Chinese: 杜甫; 712 – 770) was a prominent Chinese poet of the Tang dynasty. 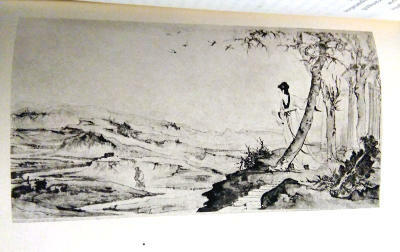 Along with Li Bai (Li Po), he is frequently called the greatest of the Chinese poets. His greatest ambition was to serve his country as a successful civil servant, but he proved unable to make the necessary accommodations. His life, like the whole country, was devastated by the An Lushan Rebellion of 755, and his last 15 years were a time of almost constant unrest. Although initially he was little-known to other writers, his works came to be hugely influential in both Chinese and Japanese literary culture. Of his poetic writing, nearly fifteen hundred poems have been preserved over the ages. He has been called the “Poet-Historian” and the “Poet-Sage” by Chinese critics, while the range of his work has allowed him to be introduced to Western readers as “the Chinese Virgil, Horace, Ovid, Shakespeare, Milton, Burns, Wordsworth, Béranger, Hugo or Baudelaire”.